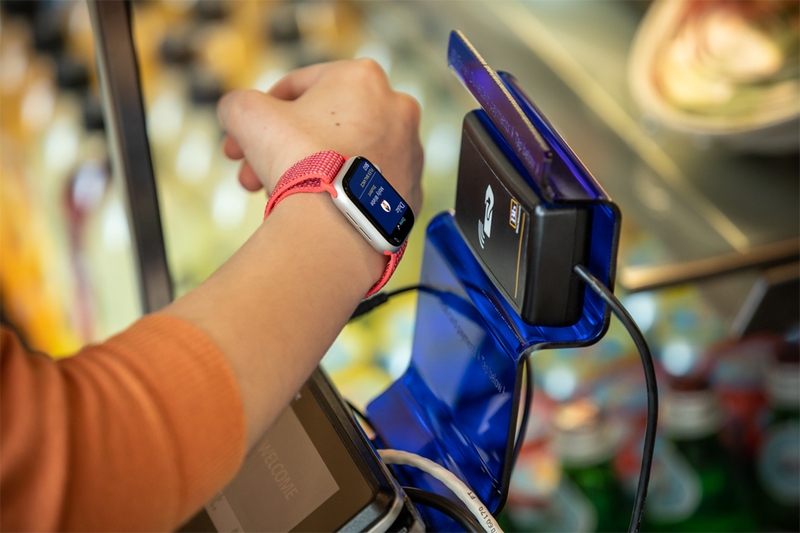 Today, for the first time, iPhones and Apple Watches are enabling users to navigate the full range of transactions both on and off campus. 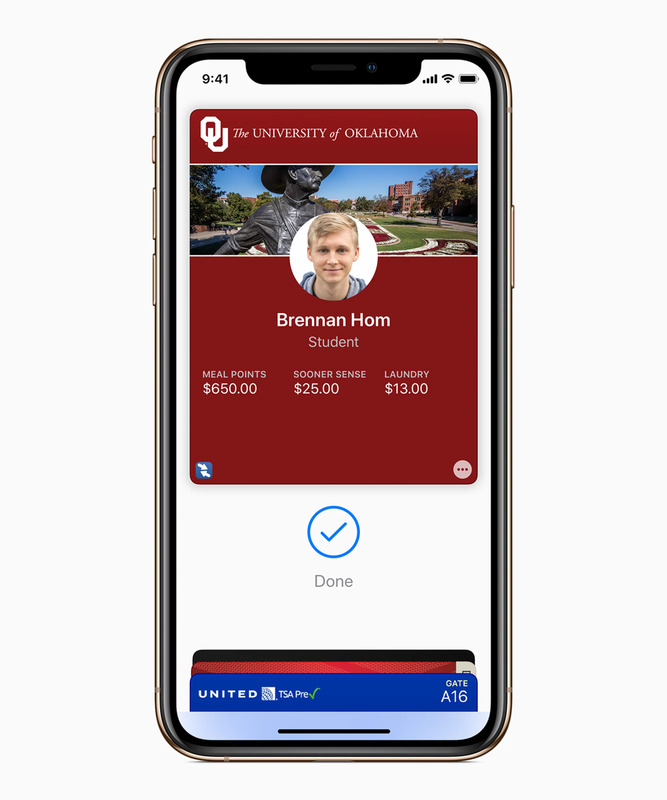 At these three launch institutions, students can add their official student ID card to Apple Wallet to make purchases, authenticate for privileges, as well as enable physical access to dorms, rec centers, libraries and academic buildings. 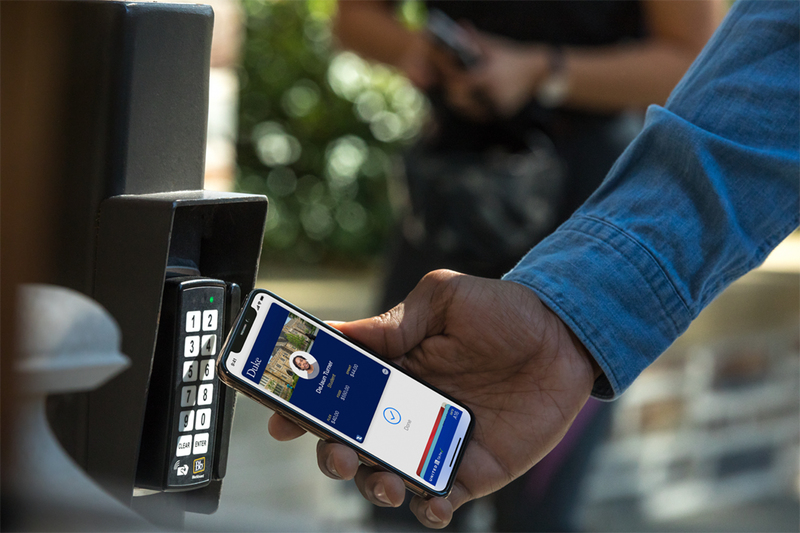 With access to campus facilities and events using only an iPhone or Watch, Apple is essentially removing the need for students to carry their physical ID cards and wallets. Making purchases at the bookstore, paying for a load of laundry, or a meal off campus are all supported via the mobile credential on day one. Students simply hold their iPhone or Apple Watch near a capable reader at any location that the physical student ID card was previously accepted either on or off campus. “We are excited that UA is part of the transformation of the card industry into the mobile era.” – Jeanine Brooks, Director, Action Card, The University of Alabama. As mentioned above, mobile credential acceptance is ubiquitous across physical security use cases, including access control to perimeter entrances and interior room locks. The three launch institutions are all using locks from Assa Abloy. Additional strategic partners – including Allegion and a list of others – have committed to be a part of this ecosystem. In areas beyond physical security, support from third party device makers is also growing. “In vending, clients are starting with Blackboard Transact readers, but the list is quickly expanding to include other vending device makers,” says Staples. It is estimated that some 80-90% of freshmen students arriving on the launch campuses have iPhones in hand. Support for the mobile credential is available in iPhone 6 or later running iOS 12 and Watch Series 1 or later running OS 5. To engage in the provisioning process, students need to be signed in on the device with their Apple ID and iCloud. From there, they update to iOS 12 and Watch OS 5 if they haven’t already, as well as update their Blackboard eAccounts app to the latest version. Blackboard’s eAccounts is the student-facing app that supports a variety of account management functions, and now features in-app support for Apple Pay as an option for account deposits. Students then use eAccounts to request delivery of the mobile credential. Once the university-branded ID has been provisioned to the student and stored in Wallet, the user is ready to conduct transactions without ever opening the app. “This all happens in a matter of seconds,” says Staples. “Once they have the mobile credential provisioned, it will be in the Wallet on the iPhone.” The user is given the option to provision it to their Watch as well, a process that’s very simple and easy to do. Once provisioned to Wallet, the mobile credential will reside in Express Mode by default, which means the user doesn’t need to physically turn on or wake the iPhone or Watch or even launch the Wallet app to conduct a transaction. A user can opt to turn Express Mode off but doing so will require the presentation of a second form of authentication for every transaction in the form of Touch ID, Face ID or passcode. Express Mode with Power Reserve – offered exclusively on the latest iPhone XS, XS Max, and XR handsets – enables devices in Express Mode to conduct transactions even if the phone’s battery level is too low to power-up the device. In other words, if the device’s battery is dead the user can still open his residence hall door or eat in the dining hall. As for privacy concerns, Apple has no visibility into what students are doing, where they check in, where they make purchases or how much they spend. Apple has already used Wallet to reinvent the way people interact with boarding passes, event tickets, payments and transit. This partnership furthers Apple’s vision to replace the physical wallet and its contents and Blackboard’s vision for a credential that can be used everywhere on campus. Blackboard reports significant interest from campuses nationwide. “We announced the initial six campuses in the summer, but interest is already very high and we’re expecting strong adoption and implementation beyond this group in 2019,” Staples says. In addition to the three launch campuses, the ability to add student IDs to Wallet will soon extend to Johns Hopkins University, Santa Clara University and Temple University. By early spring 2019, Blackboard expects the first batch of six clients announced at Apple’s WWDC to be issuing mobile credentials. As for where this development leaves the plastic card, it’s more than just an issuance question, but an acceptance question as well. As long as credential acceptance is ubiquitous, the prevailing belief from both the companies and institutions involved is that students will lean mobile. That’s their world. It’s about reducing friction. There will naturally be a transition period, but the day is coming when cards, and the physical wallets they reside in, may be left behind. In much the same way that e-boarding passes and paperless ticketing have cemented themselves as standard practice, mobile student IDs now have the platform to do the same.